A service-operating business (restaurant, salon, spa, classes, courses, tours, activities etc) usually employees a handful of people. If I am speaking to the boss presently, may I ask whether you have considered assisting your employees with their healthy food habits? No? Why? Because it doesn’t concern you? Well, actually it does. Please provide your employees with governmental brochures on why it is important to eat healthy, and alert their minds to government health campaigns that they can get on board with! Make sure you give your employees chance to drink water, tea or coffee during the day. Two litres is the minimum aim, more if they are active in the day. Don’t let your employees rely too much on caffeine for energy. Caffeine should be limited along with sugary drinks (including too much fruit juice), but still try to give them options other than plain boring (but good for you) water. If you have a kind soul, you could even provide a fruit bowl to make sure they don’t go and buy greasy junk food on their break (which will make them sluggish and lazy when they return, just so you know). Make sure they know they can store food and drinks in your mini fridge (or get one so they can). You could even leave some carrots in there in case anyone forgets their snacks for the day (again only if you are a kind soul). So there you have it, healthy eating isn’t hard to promote in your business (and you don’t even have to kid anyone by eating beetroot cake). 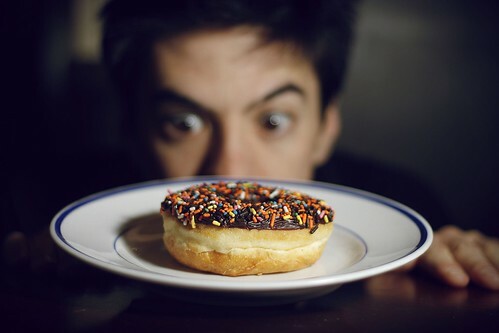 And increasing yours or your employee’s energy doesn’t mean eating more calories, drinking more coffee or promoting the need for a little tipple when doing those late night reports – it means eating wisely. But, if you do feel the stress when doing certain jobs in the day to day running of your business, try a booking system (ours is free for a month with no lock in contract, just saying) to whip the stress away and give you more time to focus on healthier eating (and drinking) for both you and your employees.